• Contagiousness and autoinoculation are considerations. • Facial asymmetry may be a presenting sign. • Superficial mucosal lymphangiomas resemble caviar or frog’s eggs. • Deeper lesions present as painless fluctuant masses such as macroglossia. • Liver dysfunction (sclerosing cholangitis) may be associated in some cases. 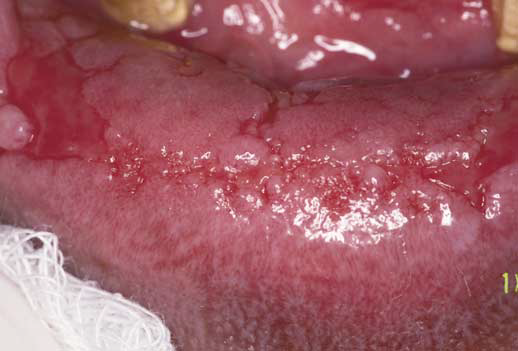 • Erosions and ulcers may form with serpiginous outlines (“snail tracks”). • HPV is found in most cases; several subtypes have been identified, especially HPV 6 and 11. • Papillary projections may be sharp to blunt. • Epithelium may be dysplastic in some lesions from human immunodeficiency virus–positive patients. 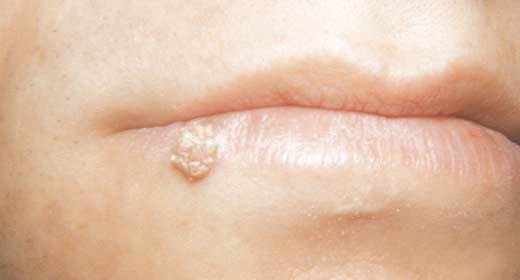 • Perioral skin lesions may be brownish. 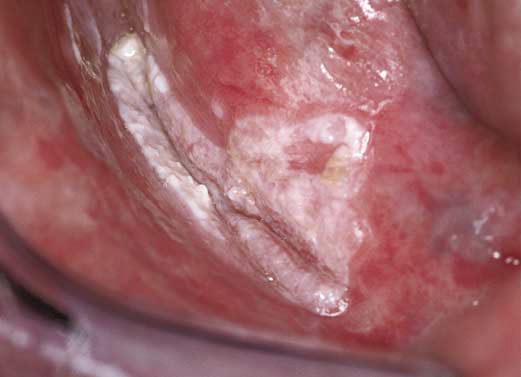 • Oral mucosal lesions are usually white to pink. • Intraoral sites of predilection include the lips, palate, and attached gingiva. • Multiple oral lesions may be evident in immunocompromised patients. 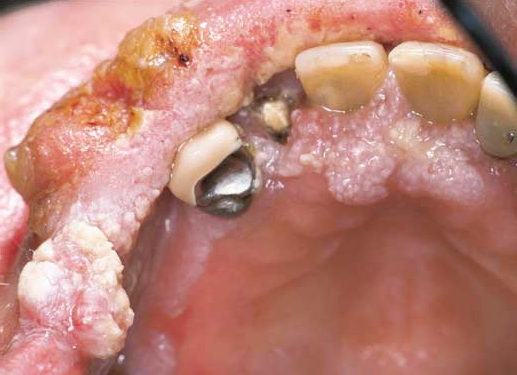 • Acquired immunodeficiency syndrome–associated oral warts may appear dysplastic microscopically. • A primary or ancillary role for HPV is suspected. • One-half of cases involve the buccal mucosa. • Attached gingiva is involved in one-third of cases. • Early, superficial lesions often are interpreted as verrucous hyperplasia; lesions become exophytic, irregular, and indurated. • Advancing lesions push into adjacent tissues. • Late lesions invade the periosteum and destroy bone. • Radiation therapy may be effective. • Dedifferentiation may occur spontaneously or after radiation therapy. • Local recurrence is a distinct possibility. • Role of HPV is unclear. Inflmmation of prolonged duration in which inflmmation, tissuue injury and attempts at repair coexist, in varying combinations. Inadequate or delayed drain leads to thick fibrous wall formation. Presence of foreign material or indigestible dead tissue. Repeated bouts of acute inflammation and healing in between. However there is a set of morphological features in common. 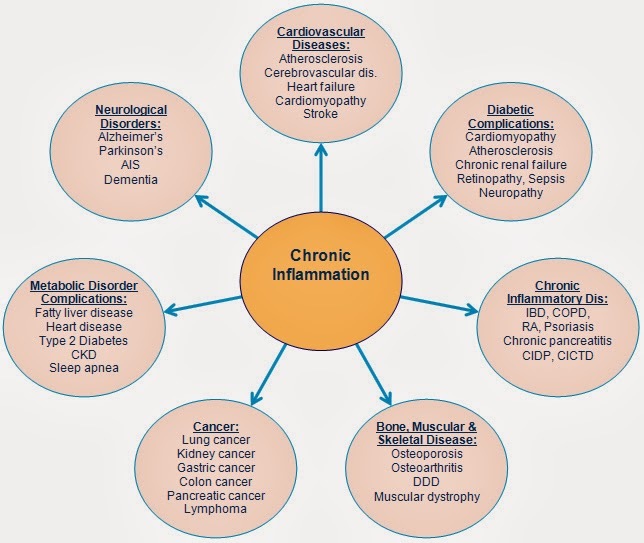 Chronic inflammatory lesion in the form of mass. A granuloma is a focal area of granulomatus inflammation. Granulomas is a result of chronic inflammatory reaction containing a collection of cells of monocytic series arrange in a compact mass. Inability of the neutrophils to kill the micro organisms due to lipoprotein coating. However need sustain contact than casual contact. Development of immune response against outer coat of the organism. Induration More that 5.mm within 48 hours. Positivity indicates infection but not the disease. Usually caused by inhalation of the organisms or rarely by ingestion of the organism. In respiratory system, inhalation of the organisms cause a subpleural lesion usually in the lower part of the upper lobe or upper part of the lower lobe. This is called Ghon focus. When the tissue is invaded by the mycobacteria there is no hypersensitivity reaction. Instead there is acute, non specific inflammatory response with predominant neutrophils. This is followed by macrophages which ingest the bacilli and present Ags to to T lymphocytes leading to proliferation of a clone of T cells . The emergence of specific hypersensitivity lead to release of lymphokines,that attract more macrophages. These accumulate to form the characteristic granuloma. Tubercle bacilli, either free or contained in macrophages, may drain to the regional lymph nodes and set up granulomatous inflammation, causing massive lymph node enlargement. The combination of the Ghon focus, draining lymphatics and the regional lymph nodes is called the primary complex. Healing with small fibrous scar replacing caseous necrosis. Lesion will be walled off. Reactivation of infection later when host defences become lowered. 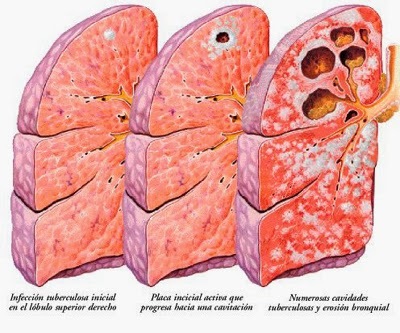 Caseous node erodes into a bronchi with satellite lesions in lungs (TB bronchopneumonia). Eroding into a pulmonary vein causing generalised milliary TB. Opening of the caseous node to a bronchus. 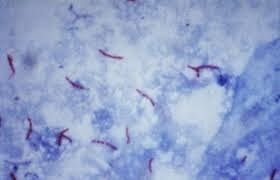 TB bronchopneumonia can happen after both 1ry and 2ry TB. Rapidly spreading tuberculous bronchopneumonia: debilitated by intercurrent disease, diabetes, malnutrition etc. 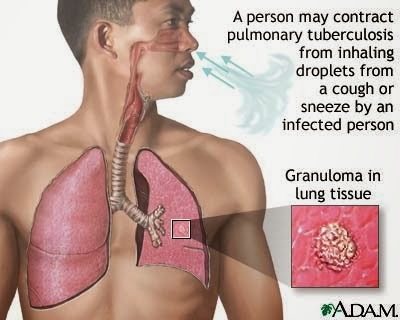 Miliary tuberculosis due to systemic spread to kineys, spleen, brain, liver etc. Tuberculous ulcers in the intestine due swallowed sputum. Tuberculosis of larynx due to direct spread from sputum. During primary tuberculosis or during BCG immunisation, the patient develops cell mediated immunity to antigens of tubercle bacillus. Immunity is associated with increased resistance to subsequent infection. Caseous material discharge gradually leaving a small cavity. Cavities can become very large with overgrowth of fibrous tissue. Cavity walls are irregular with raised bands representing obliterated blood vessels. The surface is lined by caseous material or by pus and debris mixed with blood. 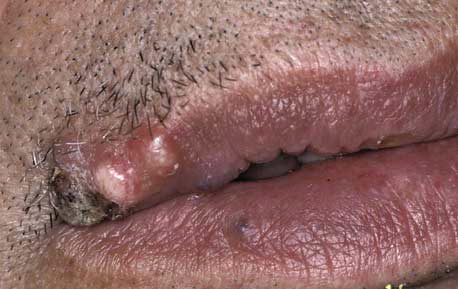 In advanced cases there may be more than one cavitatory lesion. Caseation may involve the wall of a bronchus leading to obstruction of the lumen. Aneurysm formation- called Rasmoussen’s aneurism leading to fatal haemorhage. Fungal infections can be localized in these cavities. Seen in non immune people.